It is human tendency to look at the past through the looking glasses, but the slowly dying taxi industry is not exactly in the position to create the fondest memories of all. What used to be the ambassadors of the streets have become nothing but suspiciously stained sick-smelling taxis with nothing to lose because they are already losing the war against a fleet of ride-sharing app-based vehicle for hires like Uber. Taxis are soon to become a thing of the past as a generation of digital-minded people opts for app-based taxi for hire companies like Uber, Lyft and other like-minded app companies. They are so innovative and so fundamentally different than the so-called yellow cabs. Now rather than sticking their hands out for a yellow cab, people would like to look at other options like calling an Uber with just a few taps on their smartphones. Calling a taxi has never been this easier. A couple of taps on your phone, you’d be summoning an Uber right in front of you in no time. The taxis may be as synonymous with New Yorkers, but it’s not the only ride of choice. Gone are the days when taxis used to dominate the streets. 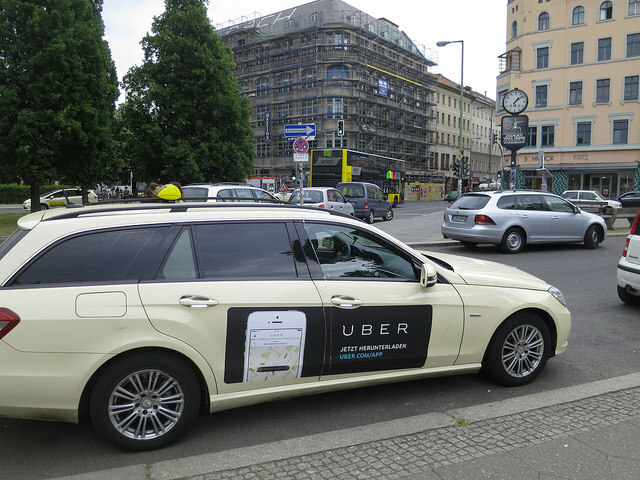 Uber is now dominating the taxi industry for good. Let’s take a look what exactly makes the infamous ride-hailing app so different from the conventional taxis. 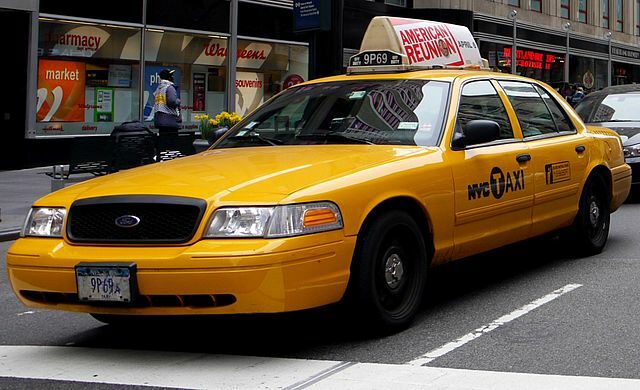 Taxi, or a cab, is a motor vehicle for hire with a driver, usually hailed by a single passenger or a group of passengers to carry them to any specified destination. Taxis are usually fitted with taximeters and are used for public transport. Now, comes the future – Uber – the ultimate ride-sharing platform that allows you to book your rides via an app and have the fare deducted directly from your account. You can choose from as many as six vehicle options when opting for an Uber – UberX, UberXL, Black, SUV, LUX, and Select. You must enter the pick-up location and destination first before selecting one of the options. Uber is more like an individual using his personal vehicle and using it for “car for hire” at a nominal rate that is usually half or less of what a taxi would cost you. However, Uber also uses a surge-pricing system or a dynamic pricing system which would allows them to increase fares when rides are in high demand. For example, during holidays or sporting events, prices are determined by a distance-by-time algorithm and may vary by neighborhood or time. Taxis, on the other hand, usually follow a consistent fair pricing regardless of the time and neighborhood. They usually charge by meter. The biggest difference between the two is probably vehicle inspection. Taxis must be inspected prior to use on an annual basis to ensure they are roadworthy and provide a safe ride. Now the inspections are no longer performed by the city but they are still to be inspected prior to service. If the vehicle is more than 5 years old, inspection will be conducted every six months. Uber cars also need to be inspected, but by a third-party auto shop instead of the city. The Uber drivers are allowed to take passengers almost immediately as long the vehicle in inspected within 15 days. The one thing that separates the Uber from the so-called taxis is the rating system. After successful completion of a trip, riders and drivers are allowed to rate one another from the scale of 1 to 5 stars, based on their experience during the trip. The user rating is like a badge of honor for the driver. The ratings are strictly anonymous and neither riders nor drivers can see individual ratings tied to a particular person or trip. However, taxis have no such specific rating system. You can simple flag one down and still get in. Taxi drivers have decades of experience on the road and more than 50 percent of taxi drivers are aged between 40 and 60, so they are often experts on safe and unsafe neighborhoods or what route is safe or not. It’s generally safer to travel with Uber these days, with drivers easier to track, contact, and identify. Convenience is probably the Uber’s strongest selling point as the driver is able to locate you precisely with just a push of a button. However, with elevated theft and assault cases, neither taxi nor Uber is entirely free of risk. In a nutshell, if you seek convenience over safety, Uber is the way to go as you can summon an Uber with a few taps on your phone. Plus, you’re likely to get a friendly driver and a clean car of course. Taxis are also trying to elevate their game by introducing their own apps to mirror the Uber-like apps. Taxis have still that old school charm to them, but they are soon becoming the things of the past with Uber-like ride-sharing platforms dominating the streets. Well, the completion will always be there, especially for the riders. Sagar Khillar. "Difference Between Taxi and Uber." DifferenceBetween.net. 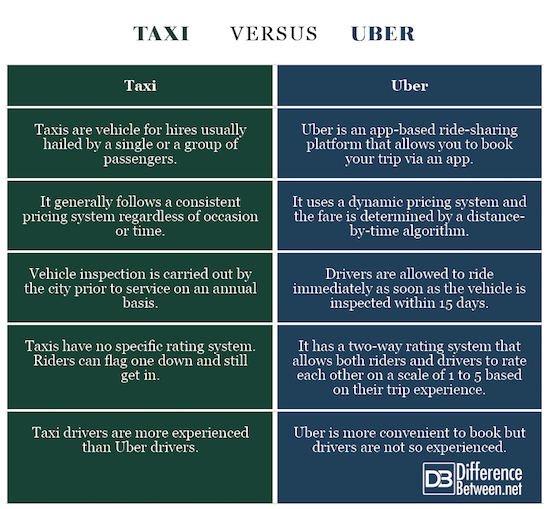 June 4, 2018 < http://www.differencebetween.net/business/difference-between-taxi-and-uber/ >.